You know those girls that always have the most fabulous clothes, shoes, accessories etc, and when you ask where they are from, they say ‘Primark’ or in a sale? Well I’m not one of those girls! I envy those girls! I don’t have the patience to rifle through rails upon rails of clothes in the hope of finding a gem; but wait, before you roll your eyes and click the ‘X’ button, let me tell you this; I do know how to navigate a Sample Sale. I used to think Sample Sales were a made-up thing. 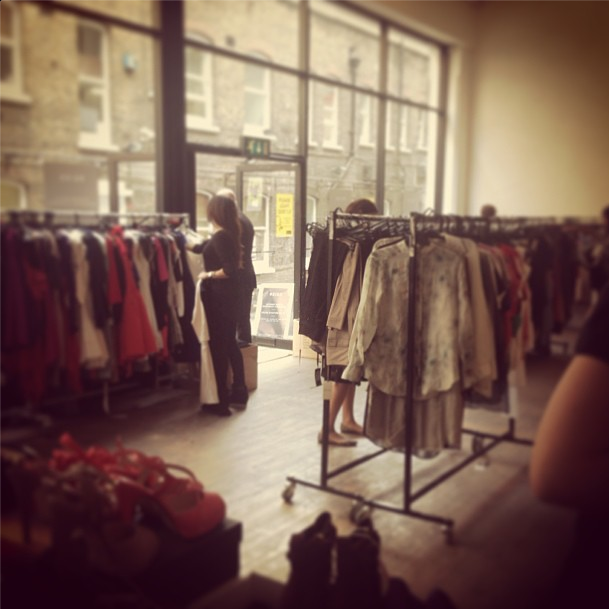 The kind of mythical event that only happened in American chick flicks (I’m looking at you, Isla Fisher), but since moving to London to study Fashion I have discovered the joys of Sample Sales in real life. 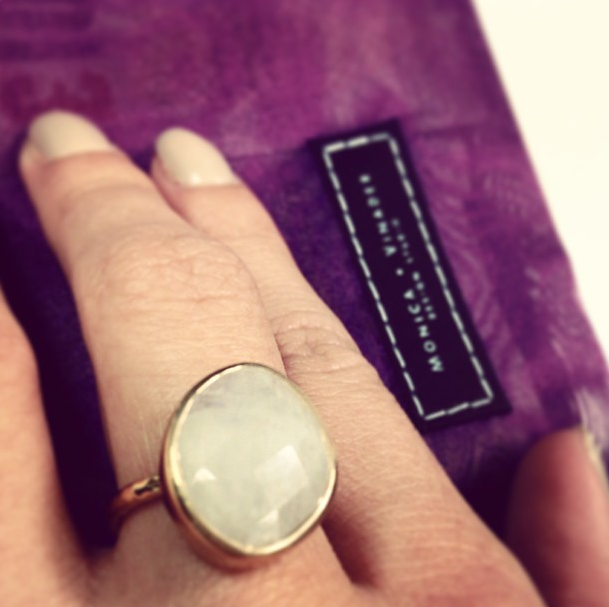 ‘Real’ sample sales happen when brands create samples of their products, but they aren’t the final version. So if Mulberry create a new bag, they will create loads of versions of it before deciding on a final design to roll out in production. These are what you will find in a ‘real’ sample sale (usually only an elite bunch get invited, as well as head office staff), but most Sample Sales that take place are a great way for brands to get rid of old stock, current stock that may have a little bit of damage to it, or products which have been removed from the shop floor (maybe because they aren’t selling well, or they don’t fit in with the rest of the collection). The hardest thing about Sample Sale shopping is knowing about them in the first place. Most websites online claiming to send you invites to Sample Sales will usually only send you the rubbish ones, so my advice is to make friends with as many fashion company head office workers as possible (and sometimes store staff). Sample Sale invitations often land in the inbox of the PR and Marketing teams, who will distribute them around the office, this is how I found out about the Monica Vinader Sample Sale recently! Equally, ask the store staff in your favourite stores if they have a sample sale coming up. They will probably know, but won’t be allowed to tell everyone, because sample sales are thought to ‘ruin a brand’s image’. I don’t claim to know about all the sample sales, far from it. But I do hear of quite a few on the grapevine, so by following me on twitter; @FashionMumblr, I promise to let you know of any that I hear of. 1.) Wear tight fitting clothing – I usually go for a thin-strapped tank top, tights and a skirt. This way you don’t have to remove much to try things on. Most sample sales don’t have fitting rooms, and those that do will almost always be communal. 2.) Arrive early – go on the first day if possible, this way all the stock will be organised, and of course all the best stuff will be there. If you can’t make it on the first day, go on the last. Most sales have regular deliveries of new stock, so it won’t just be the rubbish left over, and products will be super cheap. 3.) Befriend the workers – they know where all the best stuff is (they probably hid it there themselves) and will know when the next delivery is due. 4.) Bring cash – sample sales are usually held in temporary locations such as warehouses, which don’t have proper tills, so if there is a card machine, it may not work! 5.) Find out about the returns policy – it is usually No Returns, so make sure you really like what you are buying, and have thoroughly checked it over for faults. 6.) Don’t buy stuff for the sake of it. Even if a dress is only £5, imagine it wasn’t in a sample sale. Do you really like it that much? Would you look at it twice in a normal shopping environment? If it is faulty, can you repair it, or is it worth the price of having it tailored? 7.) Take a friend – safety in numbers, two pairs of eyes are better than one! 8.) Bring a big bag! Especially if you plan on buying lots and you aren’t going home straight away afterwards. 9.) Do your research – do you know what kind of items you are expecting to see? Check their retail value and also what they are selling for on eBay. 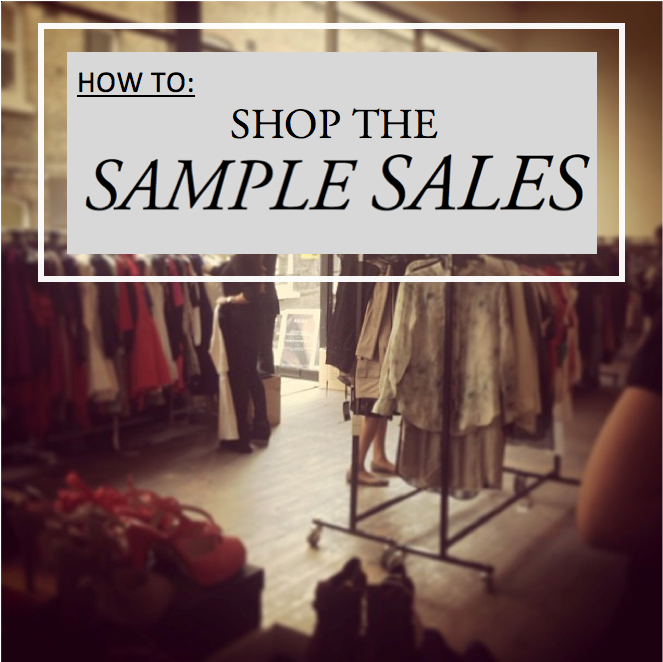 I hope this is legal, but I have been known to purchase something at a sample sale, decide I don’t like it as much as I thought (should have listened to step 6!) and then flogged it on eBay for more than what I paid for it! 10.) Enjoy it, don’t take it too seriously. Don’t be the girl who snatches the leather jacket while someone else is looking at it! Sample Sales are great for getting stuff that you couldn’t normally afford, and for filling your wardrobe with designer goodies, but nothing is worth the bad karma of stealing someone’s leather jacket! Got any other tips, or have you found a bargain recently? Let me know! !